This film directed by Michael Curiz is the story of love and suspence in world WarII and is situated in the Moroccan town Casablanca, then occupied by the Vichy-regime of France. 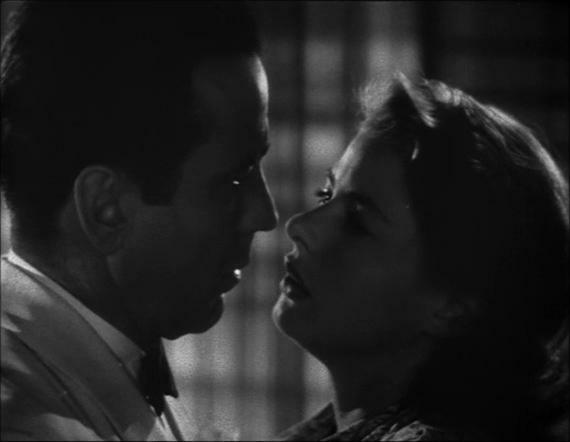 The protagonists are Rick (the legendary Humphry Bogart) who is a ' nightclub'owner and Ilsa (the even legendary Ingrid Bergman)who is together with her Czech husband and freedomfighter Laszio on the run from the Nazi regime. 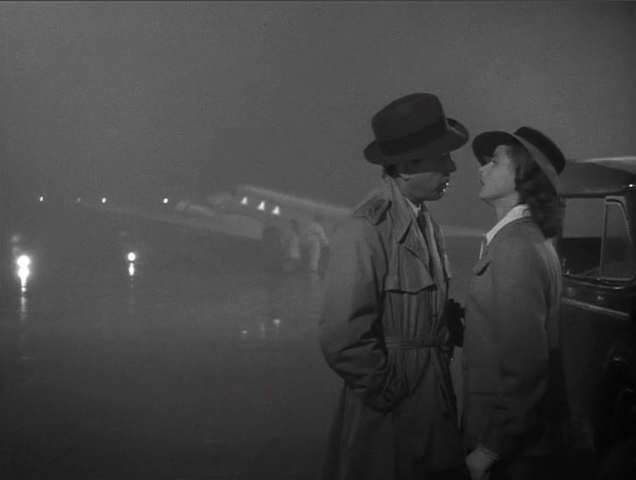 Rick and Ilsa fall in love with each other but in the end have to seperate at the (beautiful night-scene) Airport! 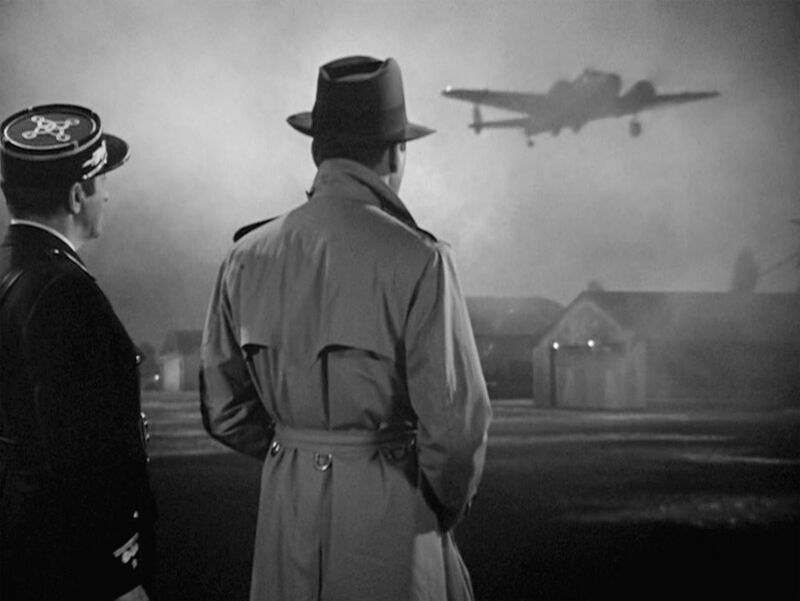 The whole film has been shot in the Warner-studios so to create the beautiful atmosphere apart from the Airport sequence which has been made at the ' Van Nuys-Airport in Los Angeles. Both outside as inside-scenes are in Nocturnal mood! A true example of ' Night-Art' ! 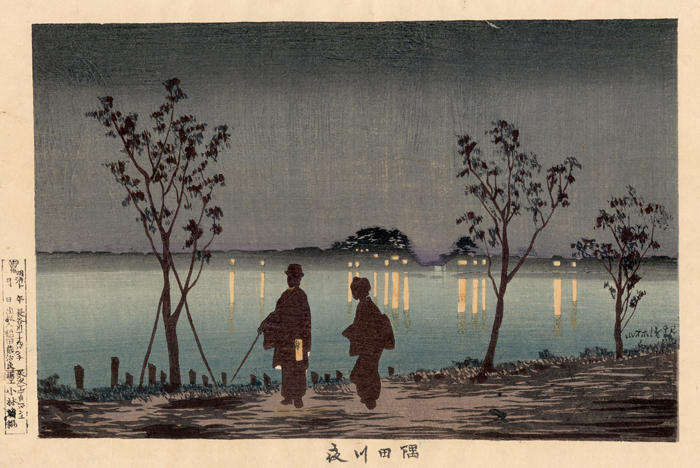 Specially in the Japanese woodcut-art nightscenes are beautifully suggested full of evening-mood and poetry. 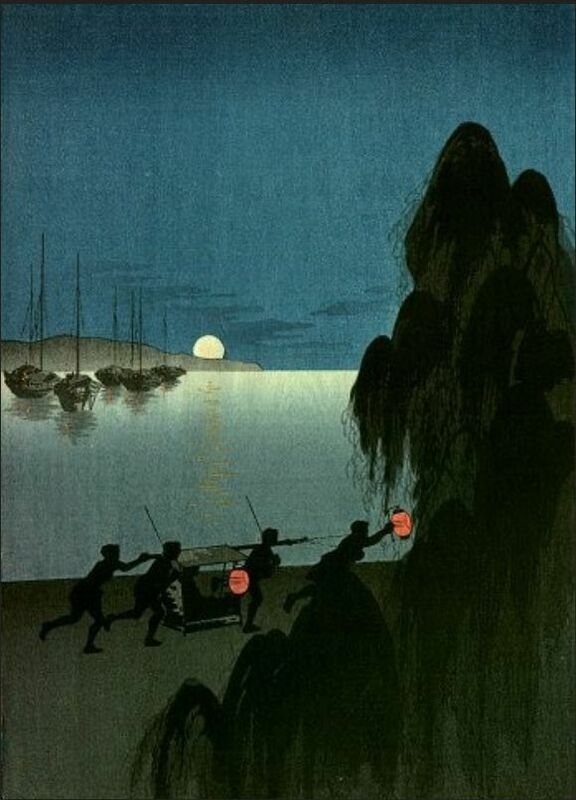 The full moon was and is a fascination in Japanese culture. During full moon literary people come together in one of their cottages somewhere in the mountains and gaze at the bright shining moon. 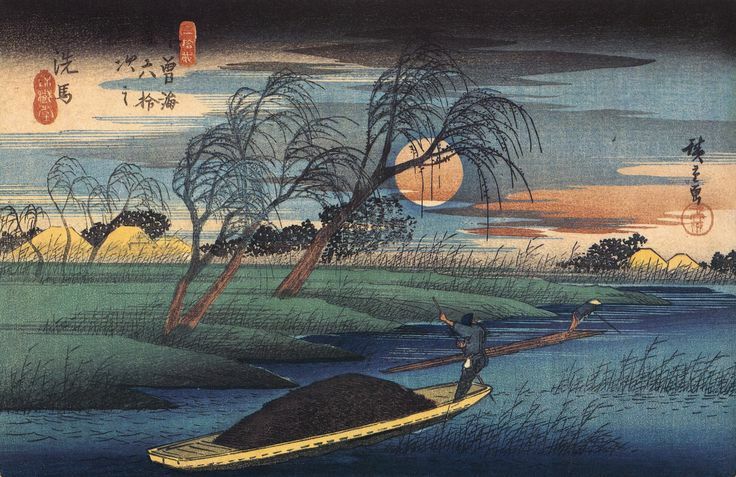 Tradition has it that they compose together short or long poems about their feelings while looking towards the moon. 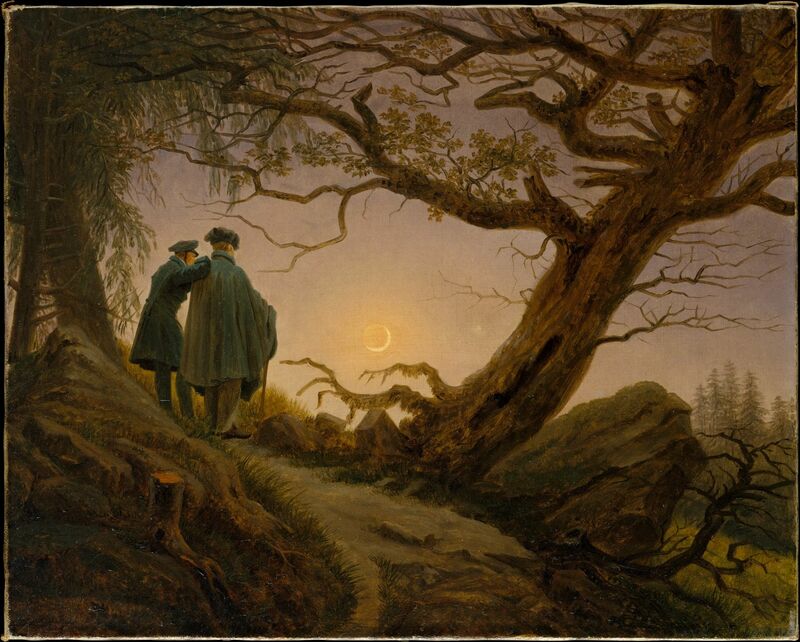 The 'moon-gazing' is not onely some kind of romantic idea but symbolizes a profound spiritual condition. In these prints as in their poems they express the conciousness of eternal life and beauty:"everything flows and disappears but the moon will always be"! Haiku composed by Matsuo Basho. The subtle reflections of moonlight and lantarns in the water always takes my breath away and brings me in a reflective mood....I get everytime inspired by these splendid works of Art! This is one of my nocturnes in which I express my reflective mood looking at a pool of water after a heavy shower. It is painted with oilpaint on canavas. 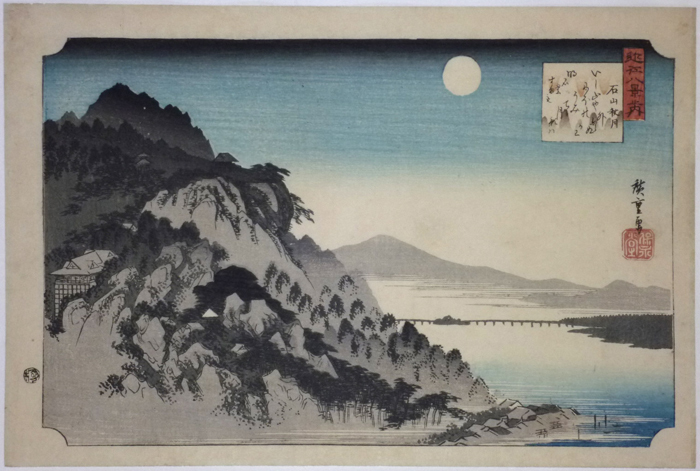 "Many solemn nights Blond moon, we stand and marvel.... Sleeping our noons away"
was a Haiku of the great monk/poet Matsuo Basho! 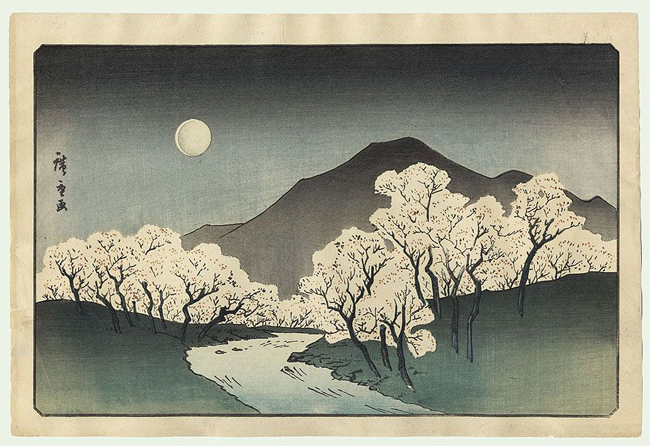 Staring into the night to watch the waning or waxing moon was a popular meditation in Japanese artistic circles. 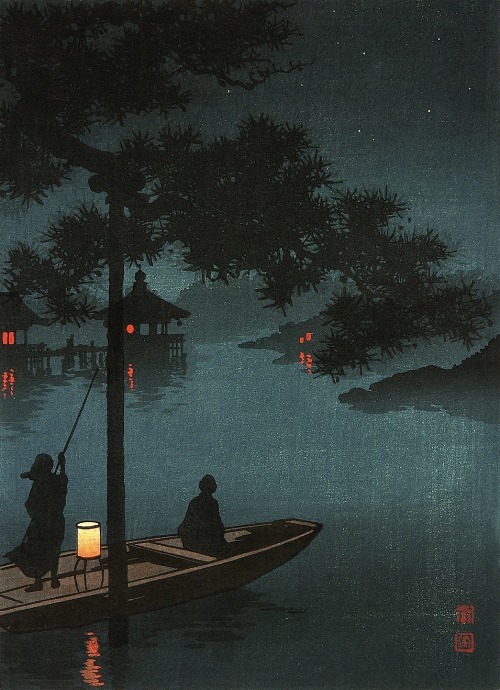 Specially in the 19th century 'Ukiyo e' period with her contemplation of the 'fleeting world', Japanese artists explored also the night with her past-times. These woodcuts were again great inspiration for Western artists of the 19th century like James Mcneill Wisthler with his firework-scenes! 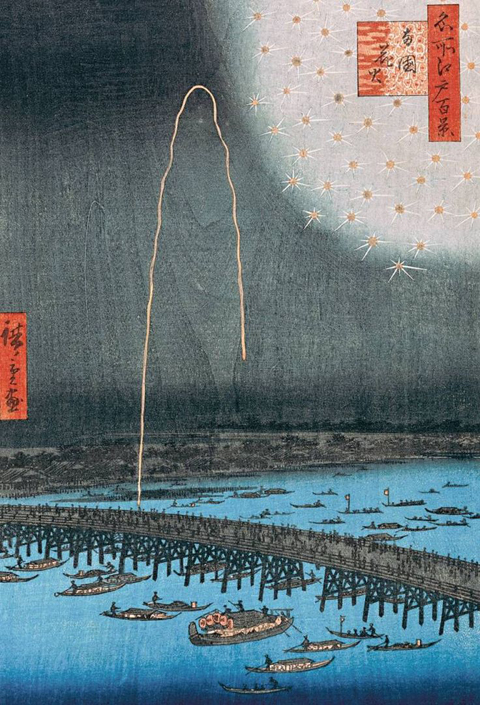 But also the Dutch painter Vincent van Gogh was enchanted by artists like Hiroshige! 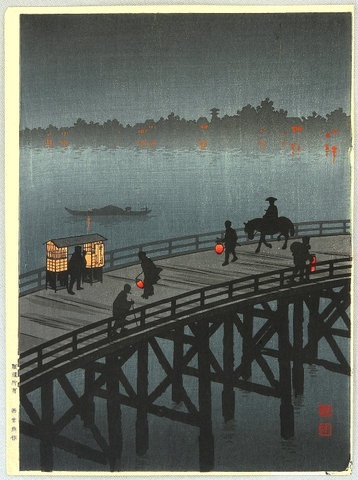 He copied several works of him and used the typical Japanes way of compositions in his later works. Later Japanese and European masters inspired and 'borrowed' each other's work which in the end transformed both art-forms dramatically! 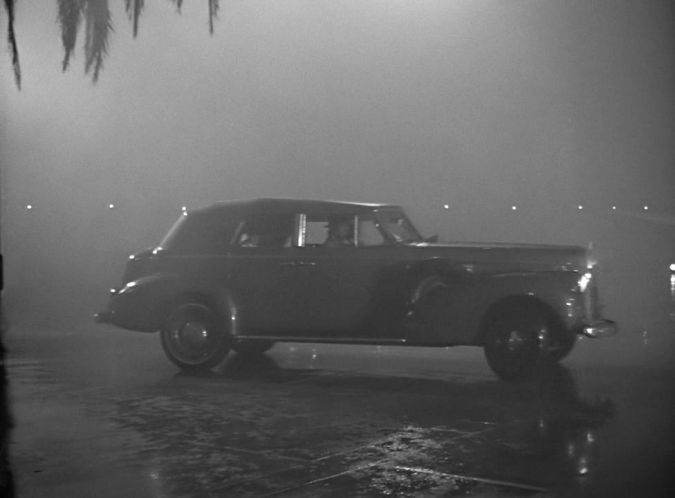 By who and by what was Alfred Hitchcock also inspired for his nightscenes? 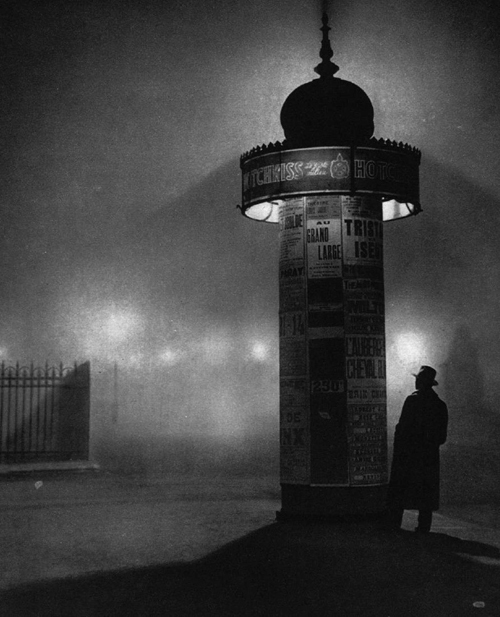 Round the early twenties of the 20th century the French/Hungarian photographer/artist Brassai was exploring night-life in Paris....The city of light! His wonderfully pictures show an almost 'suspenced'city where all kind of dark business was going on. 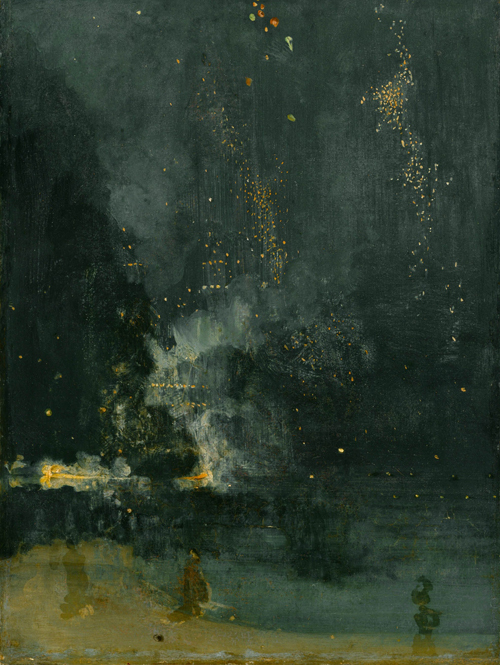 He as a true 'Artist of the Night' saw the potential of the night as an artistic expression. 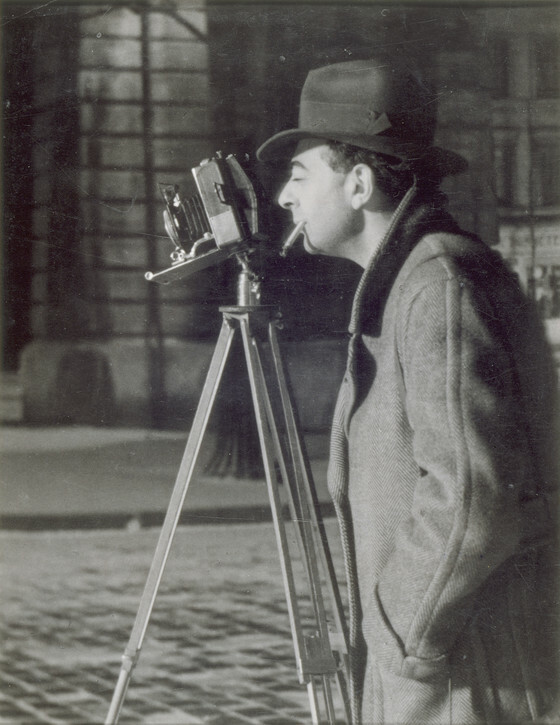 In his own words: " in order to capture the beauty of streets and garden in the rain and fog, and to capture Paris by night". Gyula Halasz what was his true name was of Armenian and Hungarian descent and came to Paris in his early years. 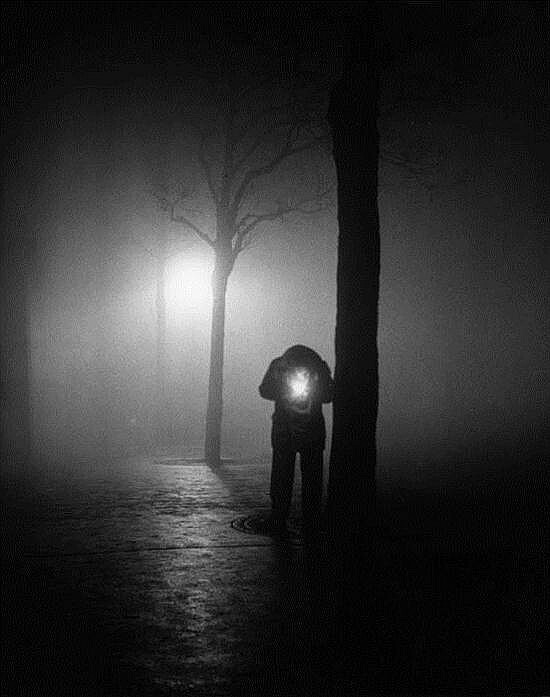 He started to roam the streets of Paris to find the 'Plutonic' beauty of light and darkness. His images show the lonelyness of Men in the great city. 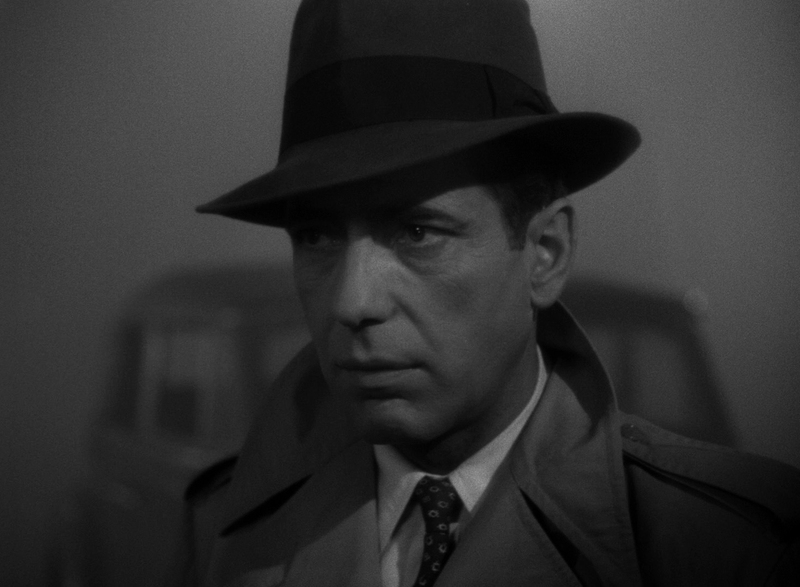 Perhaps of being an immigrant himself he could easely indentify with the 'night-people' and 'night-scenes' he encountered during his walks through Paris. 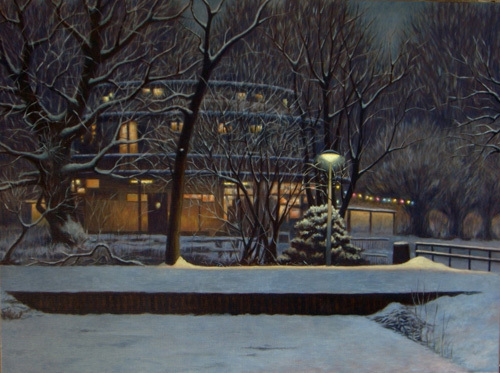 From my early years as an artist I was fascinated by 'nightscenes' like a (lighted) telephone boot or an exit of a cinema. I love the (quiet) atmosphere of night-time where things get lonely. The distant sound of a car or the slamming of a door. Specially I like to look how the light of street lantarns play with the surrounding objects and give them their long shades.It has something magical and it gives me a reflective mood. You could say like the song "A mood indigo" because in the evening the yellow light of day fades away to make place for Indigo-blue of the night (the colour I like the most!) My first inspiration was in my twenties when during my academy-days on the Rietveld Academie in Amsterdam I made my first ' Grand Tour' through Italy. 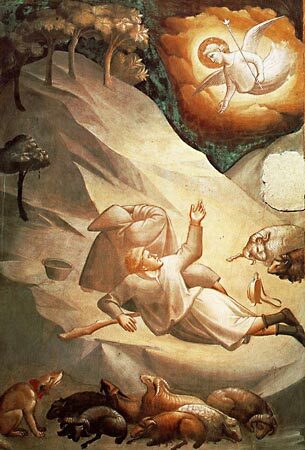 When I visited Florence I was struck by a fresco of the early fourteen century painter Taddeo Gaddi in Santa Croce where he painted an 'Annunciation to the shepherds-scene' . I was so much touched by the way Taddeo painted the soft warm light which comes from the angel and shines on the hilly landscape and the sleeping shepherds! 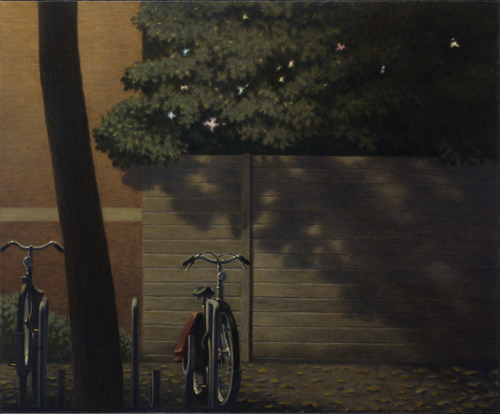 This mysterious light which illuminates the scene never disappeard from my memory and I think I'm still trying to find this magic in my own 'Nocturnes'. After this incredible encounter with the 'Annunciation" I found more inspiring 'Artists of the Night' like Alfred Hitchcock. 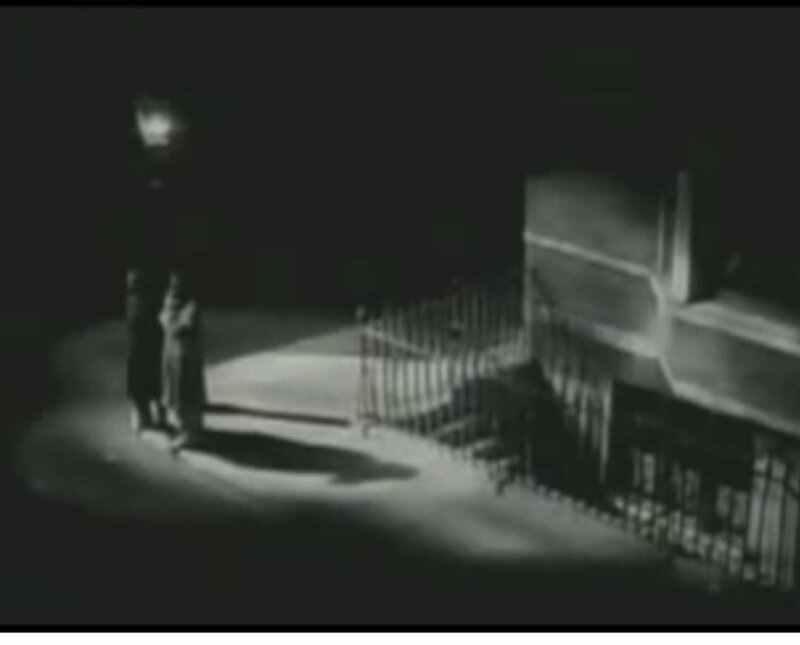 In his films full of suspension I find the same fascination for the 'Dark' and the 'Light' of street-lantarns and lighted windows. He actually paints his night-scenes with the camera! 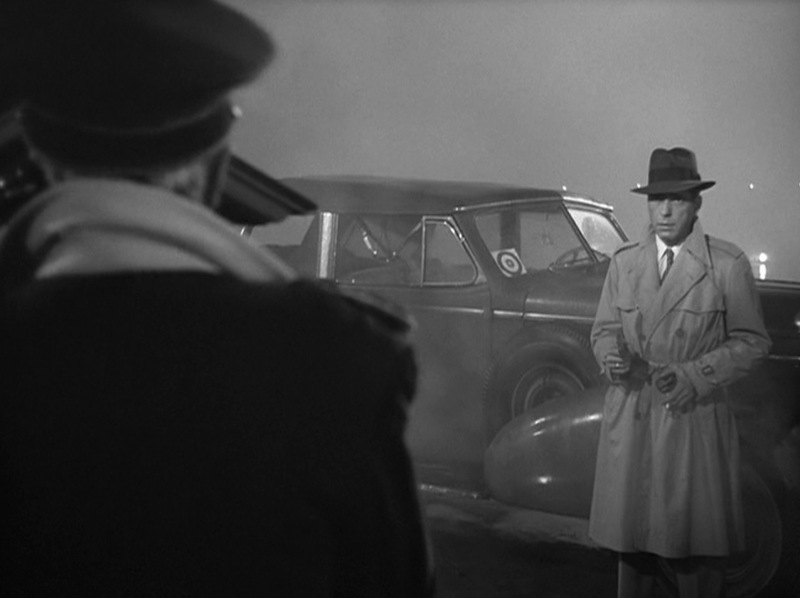 His scenes are carefully composed in the studio to get the long shadows which makes his films so captivating. It is well known that Hitschcock got his inspiration for these street-scenes from the Amercan painter Edward Hopper who also was a true 'Artist of the Night'! 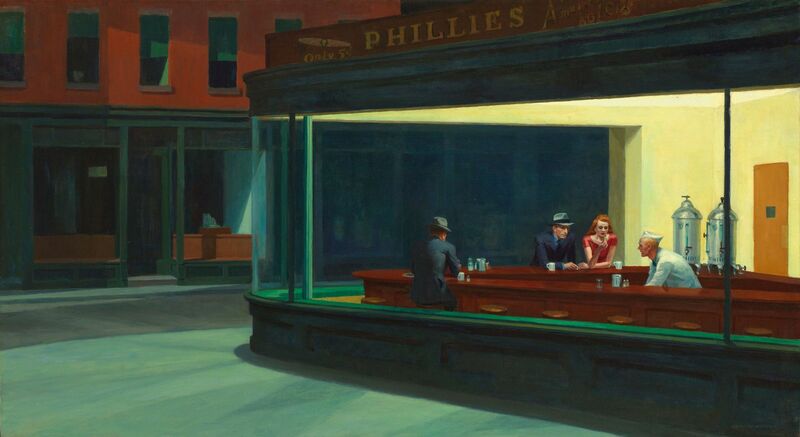 One of Hoppers best Night-scene is the painting 'Nighthawks' (other name for prostitutes) where he shows the true mood of a dark lonely street with a brightly lit 'Diner' where a lonely man had picked-up a woman. 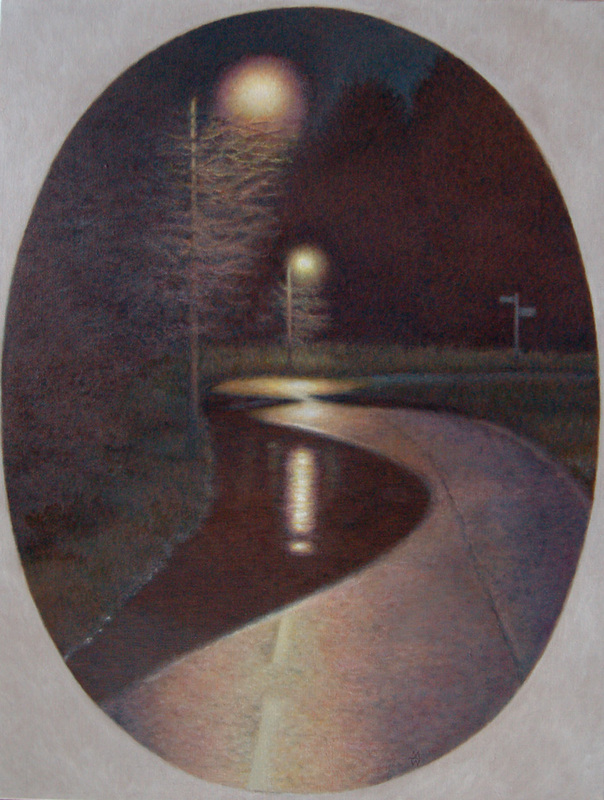 The reflected light on the pavement outside is particularly well observed and beautifully painted. Also it seems that Hopper carefully re-composed the light-effect in his studio to get a strong expression of solitude. 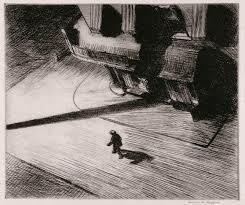 Hitchcock also made in one of his films ' The 39 steps' an almost complete copy of an etching of Hopper in which he shows a breathtaking scene of a walking man on a streetcorner. 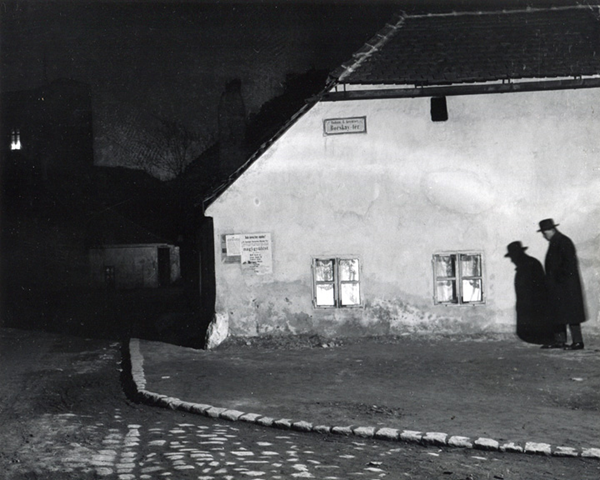 Hitchcock although using the same kind of light and almost similar place, changed it towards two men waiting for the protagonist Richard Hannay underneath a street-lantarn. 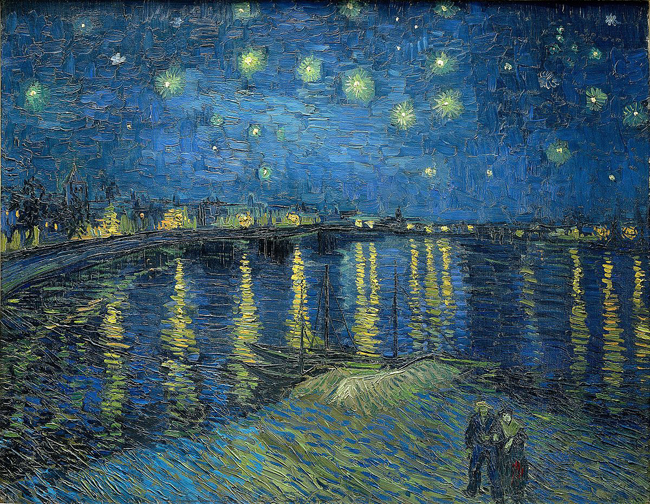 Although 'night-scenes'were always painted through the history of Art, The romantics used this form of 'mood-expression' quite often. 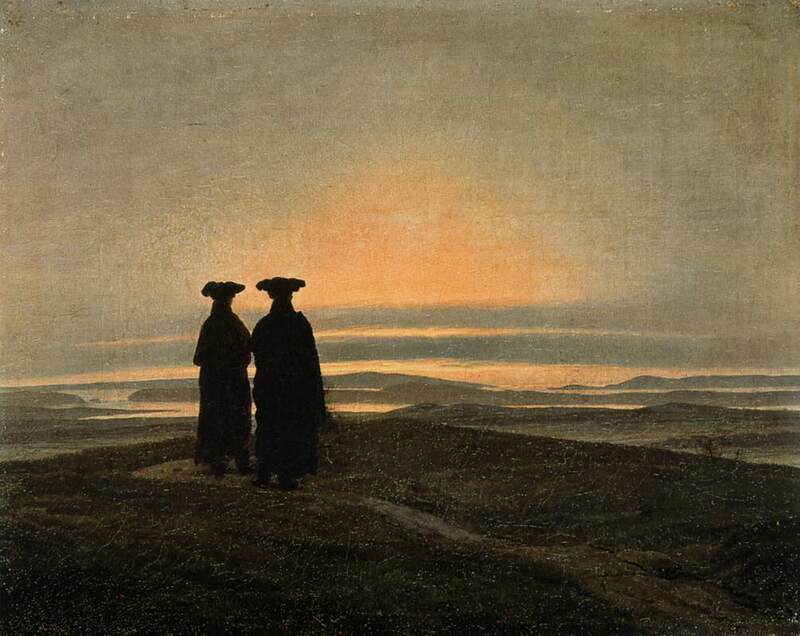 This famous painting made by Caspar David Friedrich with two (philosophers?) looking out towards the sunset gives a particularly reflective mood to the atmosphere of the painting. This was also the time (early 19th century) that Wolfgang Goethe wrote his 'Farbenlehre'wherein he stated that the 'true'colours Blue and Yellow are seen at sunrise and sunset, in other words between light and dark. After being for more then 2 weeks in my beloved Czech-Republic I travelled to Moravsky kras in East-part of Czech. This part I already knew quite well but again I found a very special 'skaly' of white stone with a beautiful cave between the shrubs. I was excited to be there and paint this pre-historic cave-dwelling. After dropping-off from the bus in Rudice I had to find the path to this 'Skaly' and first one doesn't see anything apart from hills and trees but after taking a sidepath I suddenly descended into the midst of this rockformation. You never quite know before if the light is alright to paint and I was overjoyed to see I'd chosen the right moment of the day! There was also quite some shade to sit under and paint without being too much disturbed by sharp sunlight on my paper. 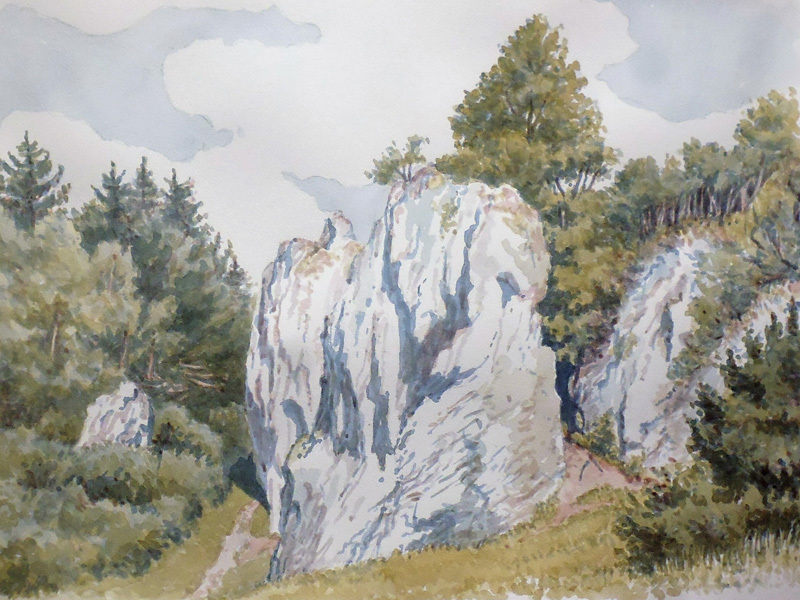 I went twice to this place to make two different Watercolours of it. The weather was on both days excellent. The first is made with four coloured ink size: 40 x 50 cm. Vandaag gewerkt aan de opbouw van mijn nieuwe site bij Exto! Vanmiddag geef ik de workshop 'Klassiek schilderen' in de wackersacademie in Amsterdam.